Elizabeth has had her new bike since last winter. We found it at a yard sale brand-new! How cool is that? She has not had a chance to ride it very much given that if she would try to ride it at our house, she would have a very scary ride down our VERY STEEP driveway! Today, we loaded up the bike and went to the park with the girls. Elizabeth rode like a champ! She did so good! She rode around this turtle-pond 5 times or so and parked a few times to play on the playground. Anna Belle was just happily walking along pushing her pretend lawn mower (no pic of that, sorry). We had a very nice afternoon at the park until it was time for some lemonade and a nap for the girls! My little Elizabeth is getting bigger every day. she even wants me to measure her with the tape measure in the mornings after she drinks her milk to see if she has grown any. Sometimes I pretend and say a different # than yesterday just to get a reaction out of her. The smile that she gives is priceless. 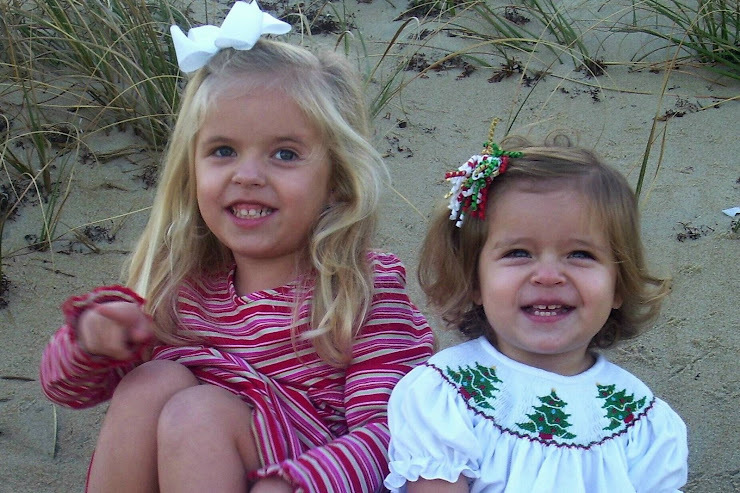 I am thankful everyday for the gift that God has given me in these little angels from heaven, Elizabeth and Anna Belle. I cherish every moment b/c I know that one day they will be leaving for college or getting married and I will be wishing that I had these precious days back.